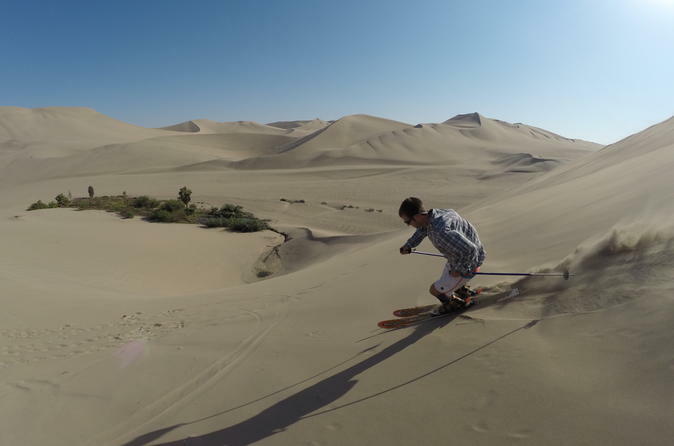 Cruise to the top of 500-meter (1,640-foot) high sand dunes and go rocketing down the slopes in a sand buggy. Let go of your fears and sand board down the steep sandy slopes with a few pointers from your local guide. Admire the breathtaking sunset over the vast desert landscape and take photos in the golden twilight before racing back to Huacachina. 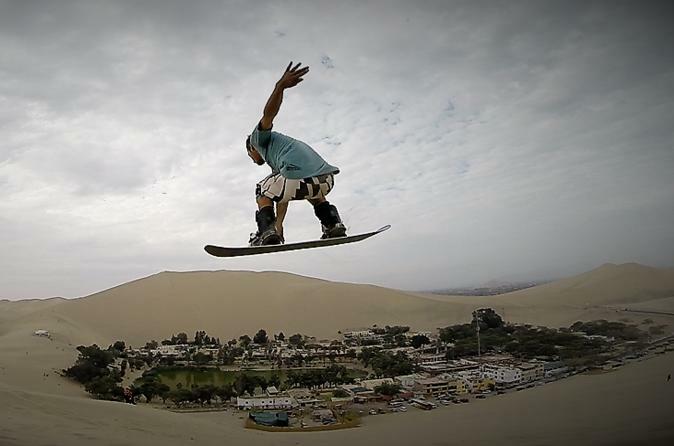 It's surreal to imagine a snow sport, such as snowboarding also living on the sand. 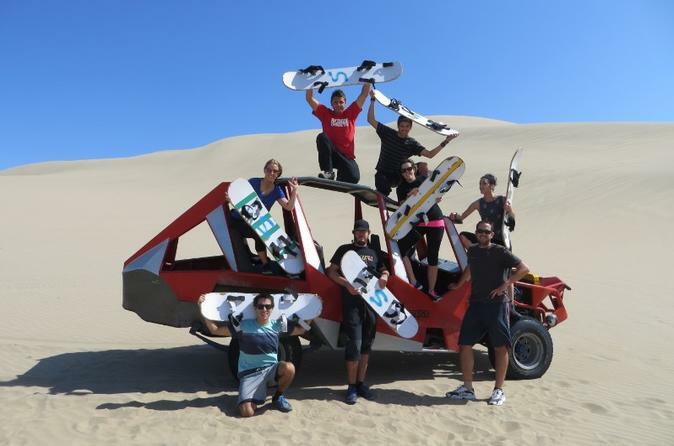 So our International Sand School, created to professionalize sandboarding, teaches the real experience of our sport to all adventure sports lovers. It´s surreal to imagine the snow sport's such as skiing can also live on the sand. Our International SandSnow School was created to professionalize the sand-skiing and to teach the real experience of our sport to all adventure sports's lovers. 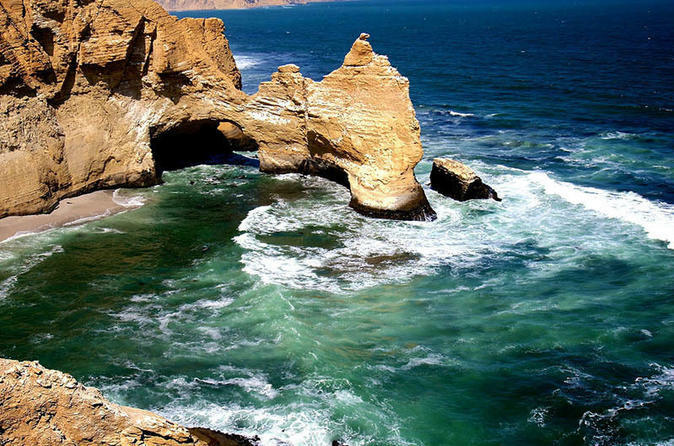 Visit the Balletas Islands in Paracas, go Dune Buggying in Huacachina and enjoy the great weather of Ica.